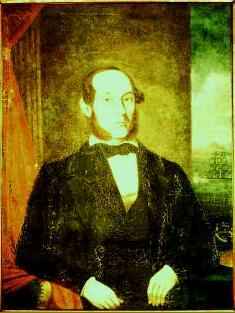 1845 (April 18–22) Countdown to Infamy: Captain Mercator Cooper of the American whaling ship Manhattan sails into Tokyo Bay and sends four of the Japanese shipwreck survivors in a small boat to make contact with the Japanese. 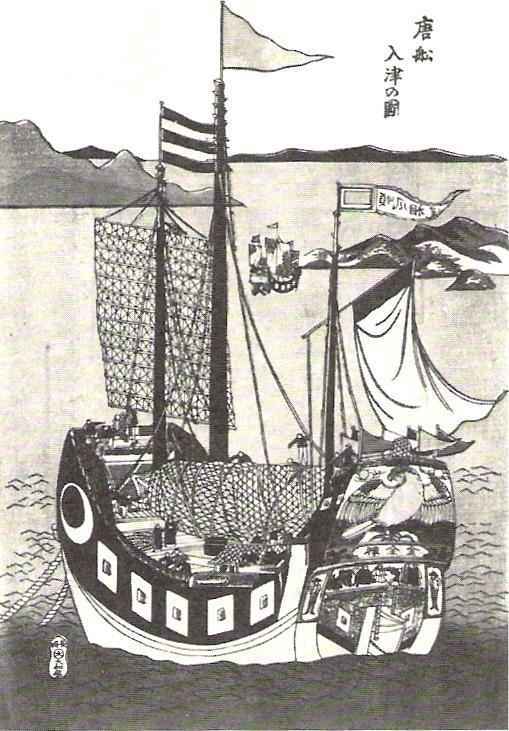 An emissary soon arrives from the shogun and gives the ship permission to proceed, accompanied by "about three hundred Japanese boats with about 15 men in each took the ship in tow" according to Cooper's log. "They took all our arms out to keep till we left. There were several of the nobility came on board to see the ship. They appeared very friendly." 1863 Birth: Leopold Graf Berchtold: Austro-Hungarian foreign minister at the outbreak of the First World War. Mainly by arguing that Russia would not come to Serbia's aid, Berchtold persuaded the reluctant Emperor to issue an unacceptable ultimatum to Serbia on July 23 1914, which was effectively the first step towards war. 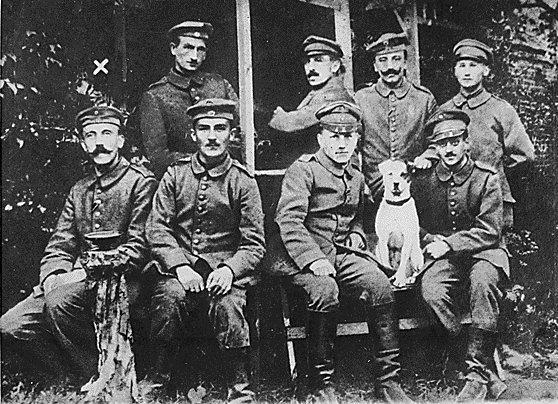 Berchtold disregarded Serbia's largely compliant reply and persuaded Franz-Josef to declare war on July 28. With war underway, Berchtold's performance was viewed as somewhat defeatist. Faced with Italian demands for control over certain southern Austrian territories, Berchtold recommended either a declaration of war on Italy (a course of action favored by Army Chief of Staff Conrad von Hoetzendorf and Prime Minister Tisza) or else acceptance of most of with the Italian demands. Forced to resign on January 13, 1915, Berchtold was replaced as foreign minister by the more pugnacious Baron Istvan Burian. Although he took no further part in public life, Count Leopold von Berchtold maintained a prominent role at court. He died on November 21, 1942 near Csepreg, Hungary. 1874 Birth: Oskar Ernst Bernhardt: German author best known for the Grail Message. Perhaps due to the book's focus on individualism and human free will he was labeled a "dangerous" element by the Nazi authorities and exiled from Austria in 1938. He was kept under surveillance until his death in 1941. Turkey: General Yudenich captures Trebizond (Trabzon), facilitating Russian logistical support. On the 24th of March, 1916, at about 2.50 o'clock in the afternoon, the unarmed steamer Sussex, with 325 or more passengers on board, among whom were a number of American citizens, was torpedoed while crossing from Folkestone to Dieppe. The Sussex had never been armed; was a vessel known to be habitually used only for the conveyance of passengers across the English Channel; and was not following the route taken by troop ships or supply ships. About eighty of her passengers, non-combatants of all ages and sexes, including citizens of the United States, were killed or injured. A careful, detailed, and scrupulously impartial investigation by naval and military officers of the United States has conclusively established the fact that the Sussex was torpedoed without warning or summons to surrender, and that the torpedo by which she was struck was of German manufacture. Click here for the April 18, 1917 issue of the superior American periodical The Outlook, featuring many articles relating to the War by the finest jounalists and commentators of the day. 1922 Hitler expounds on the Treaty of Rapallo: "The annihilation of the two national states, Germany and Russia, has been achieved; the Jewish state is already established . . . . Genoa means the continuing enslavement of Germany . . . . Who is representing Germany on Genoa? Her destroyers!" 1939 Romania: In Berlin, Hitler warns Grigore Gafencu, Romania's new Foreign Minister that "Romania will be abandoned by the covetousness of its neighbors" and again offers military aid and support against Soviet aggression. 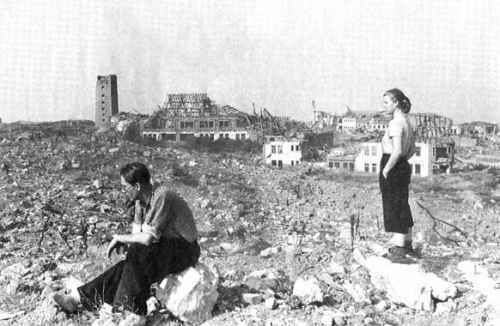 1941 World War II: Remnants of Yugoslav armies capitulate. Germans pursue their offensive in Greece against Anglo-Greek armies. In Libya, German motorized divisions reach the Egyptian border. On this day in 1942, 16 American B-25 bombers, launched from the aircraft carrier USS Hornet 650 miles east of Japan and commanded by Lieutenant Colonel James H. Doolittle, attack the Japanese mainland. The now-famous Tokyo Raid did little real damage to Japan (wartime Premier Hideki Tojo was inspecting military bases during the raid; one B-25 came so close, Tojo could see the pilot, though the American bomber never fired a shot)—but it did hurt the Japanese government's prestige. 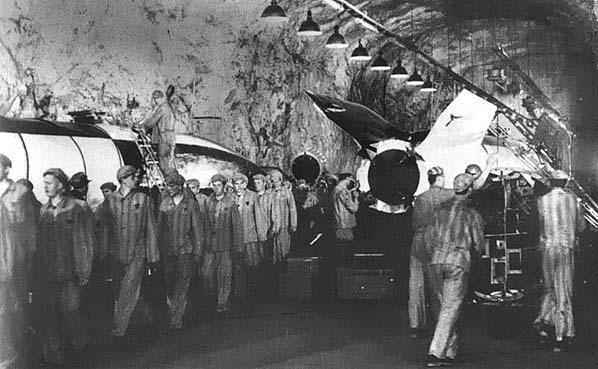 Believing the air raid had been launched from Midway Island, approval was given to Admiral Isoroku Yamamoto's plans for an attack on Midway—which would also damage Japanese "prestige." Doolittle was eventually awarded the Congressional Medal of Honor. Katyn: The Soviets make an announcement on the murders in the Katyn Forest, claiming that the Germans have concocted the entire story. Admiral Yamamato is killed when his airplane is intercepted and shot down by American P-38 fighters over Bougainville. 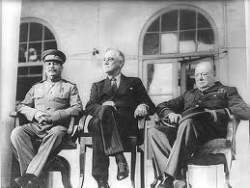 Pursuant to our talks at Tehran, the general crossing of the sea will take place around "R" date, which Generals Deane and Burrows have recently been directed to give to the Soviet General Staff. We shall be acting at our fullest strength. We are launching an offensive on the Italian mainland at maximum strength about mid-May. Since Tehran your armies have been gaining a magnificent series of victories for the common cause. Even in the month when you thought they would not be active they have gained these great victories. We send you our very best wishes and trust that your armies and ours, operating in unison in accordance with our Tehran agreement, will crush the Hitlerites. Heligoland: Over 1,000 Allied bombers attack the teeny little island of Heligoland, Germany, leaving nothing standing. Your armies soon, and presently ours, may come into contact with the Soviet forces . . . . But the moment V.E. Day has occurred we should try to set up the Allied Control Commission in Berlin and should insist upon a fair distribution of the food produced in Germany between all parts of Germany. As it stands at present the Russian occupational zone has the smallest proportion of people and grows by far the largest proportion of food, the Americans have a not very satisfactory proportion of food to conquered population, and we poor British are to take over all the ruined Ruhr and large manufacturing districts, which are, like ourselves, in normal times large importers of food. I suggest that this tiresome question should be settled in Berlin by the Allied Control Commission before we move from the tactical positions we have at present achieved. The Russian idea of taking these immense food supplies out of the producing areas of Germany to feed themselves is very natural, but I contend that the feeding of the German population must be treated as a whole and that the supplies must be divided pro rata between the occupational zones. I should be most grateful if you would let me have your views on these points, which, from the information I receive from many sources, are of the highest consequence and urgency. Last Days:The remaining German forces in the Ruhr pocket surrender. Himmler names Kaltenbrunner Commander in Chief of all German forces remaining in southern Europe. Death: Ernie Pyle: America's most popular war correspondent, is killed by Japanese machine-gun fire on the island of Ie Shima in the Pacific. Pyle, born in Dana, Indiana, first began writing a column for the Scripps-Howard newspaper chain in 1935. 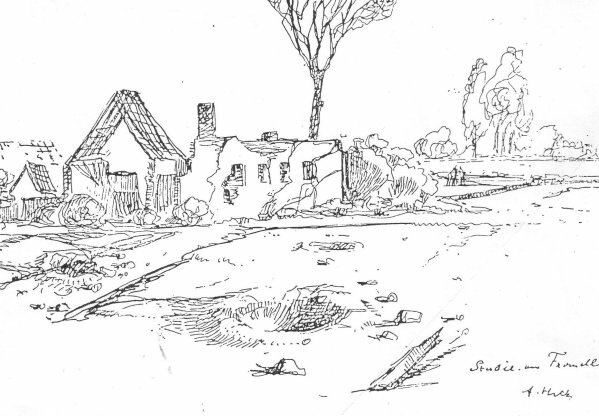 Eventually syndicated to some 200 US newspapers, Pyle's column, which related the lives and hopes of typical citizens, captured America's affection. In 1942, after the United States entered World War II, Pyle went overseas as a war correspondent. He covered the North Africa campaign, the invasions of Sicily and Italy, and on 7 June 1944, went ashore at Normandy the day after Allied forces landed. Pyle, who always wrote about the experiences of enlisted men rather than the battles they participated in, described the D-Day scene: "It was a lovely day for strolling along the seashore. Men were sleeping on the sand, some of them sleeping forever. Men were floating in the water, but they didn't know they were in the water, for they were dead." The same year, he was awarded the Pulitzer Prize for distinguished correspondence and in 1945 traveled to the Pacific to cover the war against Japan. On this day, Ernie Pyle is killed by enemy fire on the island of Ie Shima. Worrying more about his Army buddies than himself, he doesn't take cover but turns to ask if they are OK while under Japanese sniper fire. He takes a bullet in the left temple. A memorial on the site where Ernest T. Pyle was killed reads, "At this spot the 77th Infantry Division lost a buddy. Ernie Pyle 18 April 1945". Originally buried on the island, his remains now lie at the National Memorial Cemetery of the Pacific in Punchbowl Crater on Oahu, Hawaii. Pyle will be awarded the Purple Heart posthumously. After his death, President Harry S. Truman will speak of how Pyle "told the story of the American fighting man as the American fighting men wanted it told." On the surface, there was a stark difference between Frank and the defendants who had preceded him. He was the first of the accused to reject and denounce Hitler. He had Goering's cunning and intelligence, and Hitler's ability to assess an audience and play to it. While Keitel and Rosenberg had sat rigidly in the witness box and Kaltenbrunner had crouched tensely, Frank seemed relaxed, his keen black eyes scanning the entire room. Lawrence had made it clear during Rosenberg's appearance, chiding prosecution and defense alike, that the tribunal was tired of prolixity, repetition, and irrelevancies; so Frank answered questions fairly succinctly. Beyond and beneath his sense of theater, however, Frank was only marginally different from the others. Forced into speaking the truth by the twelve thousand pages of his journal, he nevertheless resorted to mendacity whenever he thought ho would not get caught . . . .
Frank's testimony precipitated a storm of dissension among his fellow defendants. 'According to your diary, you damned well knew what was happening! It would have been more honorable to say so, and not try to hide among the millions of our nation whom you are trying to burden with a thousand years of guilt,' Fritzsche accosted him when he returned from the stand. 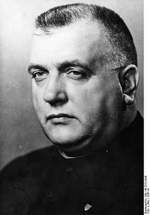 Roman Catholic priest who became a deputy of the Czechoslovak parliament, a member of the Czechoslovak government, and finally the President of Independent Slovak Republic from 1939-1945, allied with Nazi Germany. Tiso lost power when the Soviet Army conquered the last parts of western Slovakia in April 1945. 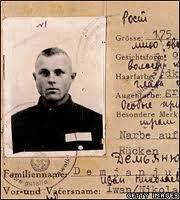 He faced a charge of "internal treason, treason of the Slovak National Uprising and collaboration with Nazism". On April 15, 1947, the National court (Narodny sud) sentenced him to death. Only president Edvard Benes had the power to grant a reprieve. 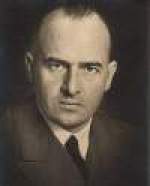 However, despite broad Slovak public opinion and the intervention of the Slovak Democratic Party, as well as a vote in the Czechoslovak cabinet against execution, he refused to grant Tiso amnesty, and Jozef Tiso is hanged this day. German-born American theoretical physicist who won a Nobel Prize in 1921 for his explanation of the photoelectric effect, at the age of 76. 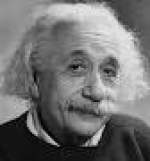 His specific and general theories of relativity revolutionized modern thought on the nature of space and time and formed a theoretical base for the exploitation of atomic energy. 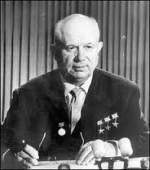 1956 Wunderwaffen: Nikita Khrushchev accompanies Soviet leader Bulganin on a state visit to Great Britain. 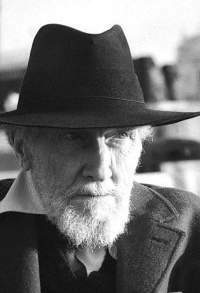 A federal court rules that Ezra Pound should no longer be held at St. Elizabeth's Hospital for the criminally insane in Washington, D.C. Pound has been held for 13 years, following his arrest in Italy during World War II on charges of treason. Pound was born in Hailey, Idaho, and grew up in a suburb near Philadelphia, where his father worked at the U.S. Mint. He attended the University of Pennsylvania, where he met William Carlos Williams and had a romance with Hilda Doolittle, later known as the poet H.D. He earned a master's degree in languages from the University of Pennsylvania in 1906. He took a job teaching at Wabash College in Indiana but lost it after six months, having been accused of hosting a woman in his room overnight. In 1908, Pound moved to London, where he taught and published reviews. While working as secretary to William Butler Yeats, he met the daughter of one of Yeats' friends, Dorothy Shakespear, who he married in 1914. The couple later had a child. During this time, he wrote important works of literary criticism, spelling out the rules for new forms of poetry. He championed young writers such as William Carlos Williams, H.D., T.S. Eliot, James Joyce, Robert Frost, Ernest Hemingway, and Marianne Moore. He also began writing his own poems, including his 116 Cantos, which combined his memories, feelings, impressions, and fragments of literature. In 1920, Pound and his family moved to Paris, where he fell in love with violinist Olga Rudge, with whom he also had child. In 1925, he and his wife moved to Rapallo, Italy. Pound spent the summers with Rudge in Venice until World War II broke out; Rudge then joined Pound and his wife in Rapallo. An Israeli court convicts John Demjanjuk of Nazi war crimes, alleging that he was the gas chamber operator, Ivan The Terrible, at the Treblinka death camp in World War II.